Fieldmotion is a cloud-based field service management software which offers a digital field-worker solution with online scheduling, appointments and invoices, as well as customer relationship management, assets and stock management technology. Fieldmotion provides quick and central access to all important field service information, including finances, forms, and reports. Fieldmotion’s appointment management tools allow users to create, dispatch and organize field-based jobs using job form templates and time & location tracking technology. Native mobile apps for iOS and Android give users the flexibility to create jobs on the move, but users can also create jobs through their CRM system, email import, or API calls, as well as from one of the 750+ apps which integrate with Fieldmotion through Zapier. Automated scheduling tools help users calculate optimal routes and workflow, while Fieldmotion’s CRM system allows users to centralize customer information and communication, including all notes, files, and work history. A customer portal gives customers instant access to live work updates, work reports, and recorded history. Asset and stock management capabilities enable users to track and manage their assets, machinery, and stock. Invoice management tools help users generate and send detailed customer invoices within moments of a job being completed. Users can manage invoicing and accounting data through Xero, Quickbooks and Sage integrations. Fieldmotion reports also give users insight into work costs, labor, stock use, and budget status. Generally a good software to use. If we had more time to explore it, it could be great for us. Less paper used Less paperwork to handle, manage and file Quicker response details on jobs completed More efficient administration Easier recall of past job details when requested Better efficiency for site guys on Health & Safety Being able to quickly search for a work order and the visual aspect of jobs that are complete, nearing the deadline and past the deadline with the use of the traffic light system. Being able to quickly search for a work order and the visual aspect of jobs that are complete, nearing the deadline and past the deadline with the use of the traffic light system. When changes are made to the software by Fieldmotion, the end user is not notified. When something goes wrong/doesn't work for the user then help is asked for and eventually the user is told that the problem is "rectified" and that it should not happen again, but it does. The user is never told what actually went wrong. We have found that every time a change is made in the software that we use, it affects the running of it on our end. This has caused disruption on our daily work schedules when issues like this occur. Before using Fieldmotion we were inundated with paperwork. Keeping track of all our service agreements and contracts with specific companies was not only time consuming but it was counterproductive. Since integrating Fieldmotion into our business we no longer have to chase paperwork! Everything is logged, from start to finish and means each job has complete accountability! We have saved 4 hours minimum a day on administration work and this has left us with more time focusing on expanding our business and exploring new opportunities, something that we would not have had time to properly focus on if we had not got Fieldmotion! No real cons, Fieldmotion staff are always helpful. Rep has been a great help in getting us set up from day one. We have used Fieldmotion for some key contracts and have found the system flexible, easy to use and reliable. Any issue is resolved within hours and Jerome has been great at helping our company to use Fieldmotion in a number of different ways and providing demo's to potential clients. Fieldmotion is a core business tool across two of our four divisions and we are working to utilise more of it's ever expanding capabilities. The service provided is second to none and I'd have no issues recommending the company or product to anyone. So far the system has been a dream for our office, and field staff, as usual with any new system apprehension is of the highest level however within days the comments of how easy to use it is were coming in, no m,ore waiting for a week and 400 jobs landing on the desk to be sifted through the best was when we measured from receiving a call - job to engineer- job completed- job invoiced took 25 mins in total - never known before within our company !the ease of use and the speed of the process, it is also very user friendly for making sure all jobs are status known to all users with the traffic light system. the ease of use and the speed of the process, it is also very user friendly for making sure all jobs are status known to all users with the traffic light system. not being able to add and subtract certain aspects on the main screens to suit the business module as each will differ rather than be standardized however the team at field motion are always very accommodating to try to help develop your needs if it can be transferable. Contact Fieldmotion directly for detailed pricing information. Schedule and assign tasks and appointments to the nearest field worker, plus set up recurring appointments and track job status in real time. Create and manage company assets, track asset rentals, set up maintenance schedules, and monitor costs and income from assets. Generate reports to gain insight into work costs, labour, stock use, and budget status. View status of all jobs within a Gantt chart, including a breakdown by department, skill set and length of time a job is taking. Native mobile apps for iOS and Android give users the flexibility to manage appointments, tasks, stock and assets on the move. Below are some frequently asked questions for FIELDMOTION. Q. 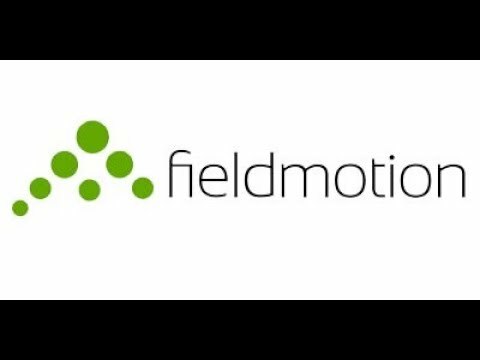 What type of pricing plans does FIELDMOTION offer? Q. Who are the typical users of FIELDMOTION? Q. What languages does FIELDMOTION support? Q. Does FIELDMOTION support mobile devices? Q. Does FIELDMOTION offer an API? Yes, FIELDMOTION has an API available for use. Q. What other apps does FIELDMOTION integrate with? Q. What level of support does FIELDMOTION offer?